A lovely keepsake to celebrate Baby's first Christmas or any other special event, milestone, or person. 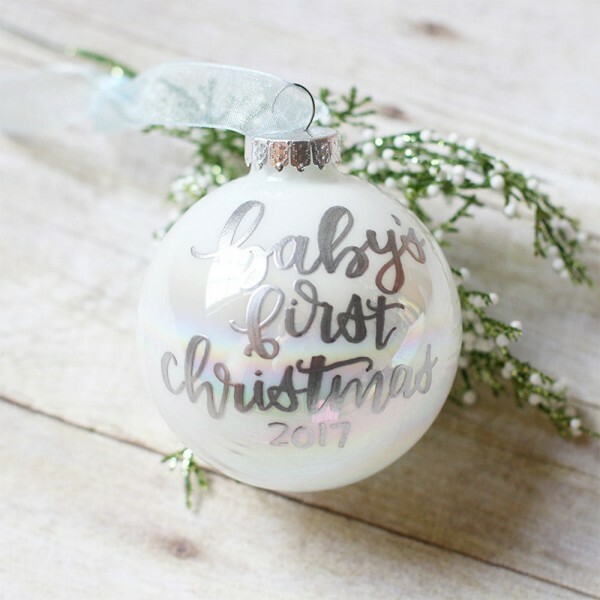 So excited to give your lovely baby a cute ornament, what a meaningful gift in her or his the first Christmas Day. 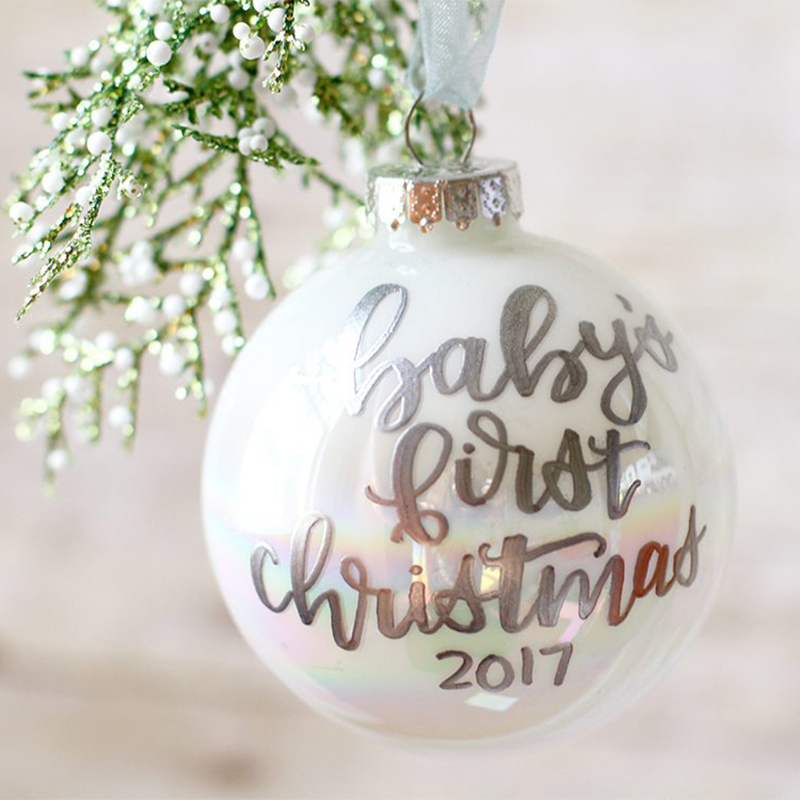 Each ornament is hand lettered. 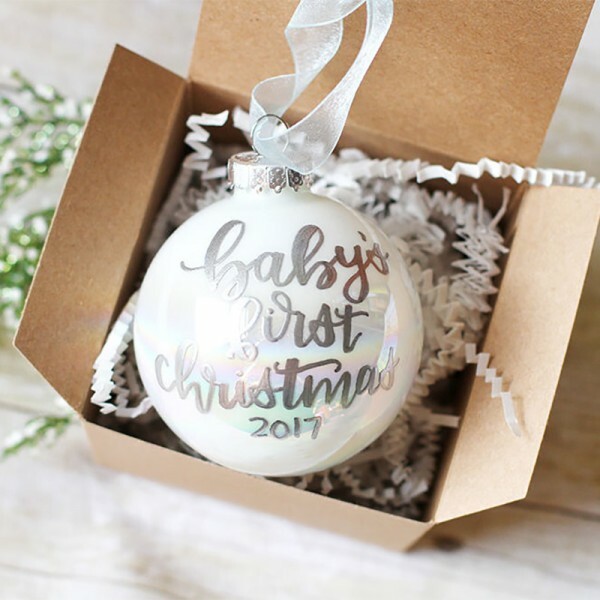 The embossing gives the text a gorgeous raised effect. Each bulb is 2 5/8" round (the size of a tennis ball). Love Love LOVEEEE it! Thanks so much! Quick response and exactly what I was looking for. I love it! Love it! Exactly what I asked for! Fast shipping and beauty quality! 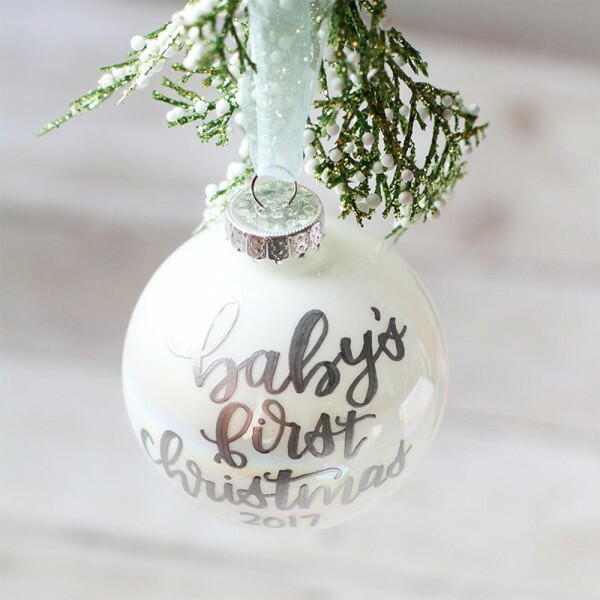 Question about Baby's First Christmas Ornament is Successfully Submitted.